High-tech business space options in a range of sizes are as standard at Regent House where your business can benefit from a top range of facilities including Cat.5 cabling throughout the centre, telephone/broadband infrastructure with call divert, ambient lighting specifically created for use with VDUs and air conditioned conferencing spaces bookable through reception which is professionally staffed during business hours for client welcome and direction. Flexible lease arrangements include rent, rates, utilities (heating & electricity) and car spaces (calculated per area of office space leased) in the large gated parking zone. Telephone lines and cleaning of own areas are not included. This centre assures excellent security having won the 'Secure by Design Award' from West Midlands Police for its security systems. Convenient location for your team only a short walk from Wolverhampton city centre for leisure amenities like the Central Baths, Gym and beautifully restored Victorian West Park, a landmark UK heritage space. Situated just outside Wolverhampton Ring Road. This striking traditional building has office space over five storeys with shared toilet and kitchen rooms on each floor. The office space is well lit and has high windows and ceilings, wood floors and brick walls. The centre also has internet and security services and controlled access using cards. It is located centrally within Wolverhampton, close to retail and dining facilities. Access to the centre is quick and easy thanks to the nearby bus station and Wolverhampton Train Station. Situated in the centre of Wolverhampton this new development has a range of offices available from two-person spaces up to areas to suit over ten people. One of the added bonuses of this location is an on-site fitness studio. Wolverhampton Railway Station providers great connections to London and Birmingham amongst other destinations, and there is also a large bus station. Shops, restaurants, bars and hotels are plentiful. This office stunning office space provides a beautiful place to work with all the facilities your company will require. 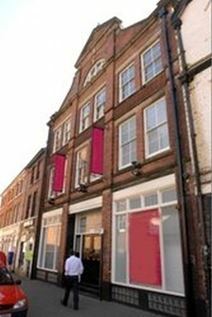 The building is Grade II listed and is rich in history. The building has fantastic amenities which includes private meeting rooms and 24 hour access. Located a short walk from Wolverhampton Station and just off the ring road, this work centre is easily accessed via rail and road. Located in the heart of Wolverhampton City Centre, these offices are close to public transport links and a range of other amenities. Providing 12 office suites on flexible terms. All offices are light and spacious, and ready for your business. Great mix of office, workshop, light industrial and storage units in a range of size options suitable for individuals up to good-sized teams, located in a friendly large business centre also providing staffed reception, equipped meeting rooms and support and maintenance from helpful onsite team. More than 50 separate business units are available including bright pleasant offices with fresh decor, furnished or not as preferred - the centre caters for all types of company. Flexible contracts are possible with licences from 1 month up to 1 year. Excellent commuter location 3 miles northeast of Wolverhampton city centre just off the A454 Keyway and Black Country route connecting with M6 J10 and the Midlands motorways. Reach Birmingham city centre quickly by car (10 miles to south via M6). Located just five minutes away from the centre of Wolverhampton, with it's range of shops, as well as an extensive list of places to eat and drink. Wolverhampton Railway Station offers excellent connections to Birmingham, London and many other destinations. There are bus connections throughout the city centre and beyond. The space can be accessed 24-hours a day, and offers amenities including an on-site management team. Conveniently-located business centre catering for your company needs with excellent value office, storage and workshop spaces in conjunction with helpful onsite team supplying maintenance, secretarial services and access to meeting rooms when required. All units are of high quality and tenants have 24/7 access to the building. Situated half an hour's drive from central Birmingham between Wolverhampton city centre and the M6 J10, giving easy access to many shops and amenities with supermarket, pub, banks and post office a short walk away. 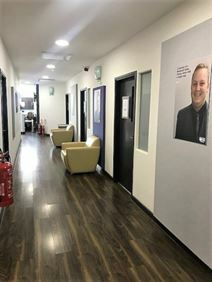 Situated within walking distance of Wolverhampton city centre, these premises provide premium, turnkey and affordable offices to suit a variety of different business sizes. There is on-site business support and access to standard amenities as well as a day nursery. Wolverhampton city centre has great shopping options as well as many places to eat and drink and a range of hotels, suiting different budgets. Situated close to the centre of the city, ring road and many public transport links, this three-storey detached office building provides a number of small to medium individual offices, all comfortably furnished.